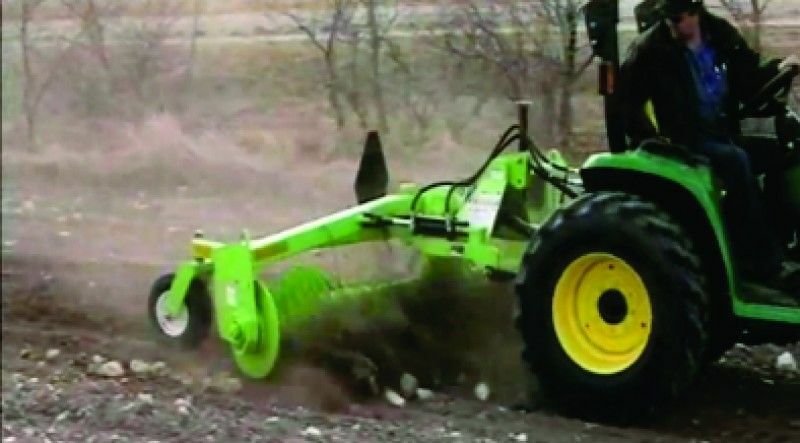 A three-point linkage machine that can be driven by smaller tractors from 35 HP. Narrow, 2591 mm (8’ 6”) transport width. 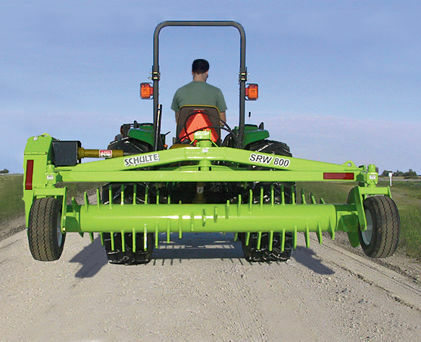 Windrows 2" to 25" rocks with ease, forming them into neat uniform rows ready for pick up by a Schulte Rock Picker. 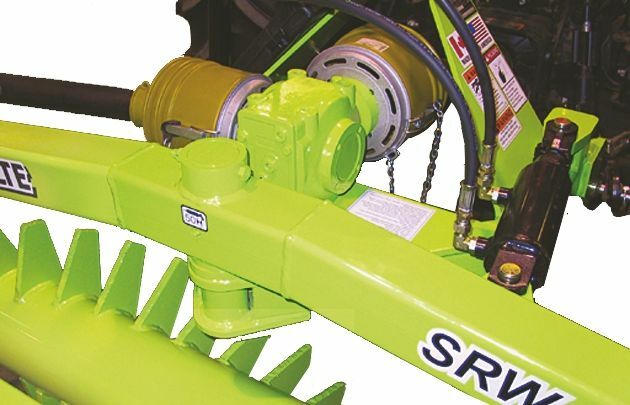 Power is supplied to the windrower drum via heavy duty PTO drive line which includes a slip clutch and shear bolt arrangement for protection against excessive shock loads. 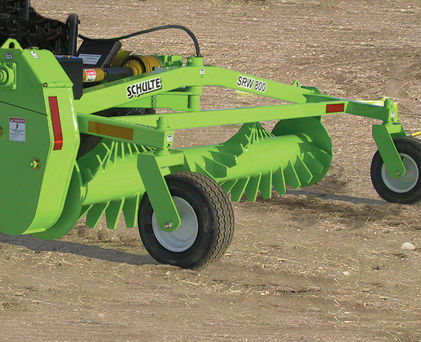 The windrower drum is constructed of 219 mm (8 5/8") heavy wall tube. Hard surfaced 9 mm (5/8") thick x 152.4 mm (6") long teeth are welded directly to the drum, resulting in problem-free operation.